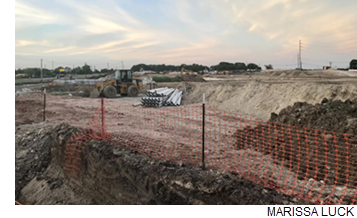 ​​​ AUSTIN – In the latest sign of South Austin’s growth, HEB Grocery Co. is turning dirt on a 140,000-sf grocery store near West Slaughter Ln. and the I-35 frontage Rd. The San Antonio-based grocery chain expects to open its new store at 8801 South Congress Ave. in late 2019 or early 2020. In addition, another developer is hopin​​g to capture some of the traffic HEB will generate with a separate 11-acre shopping complex to the west of the grocery site. ​Check out Austin-Round Rock Retail Market Research.